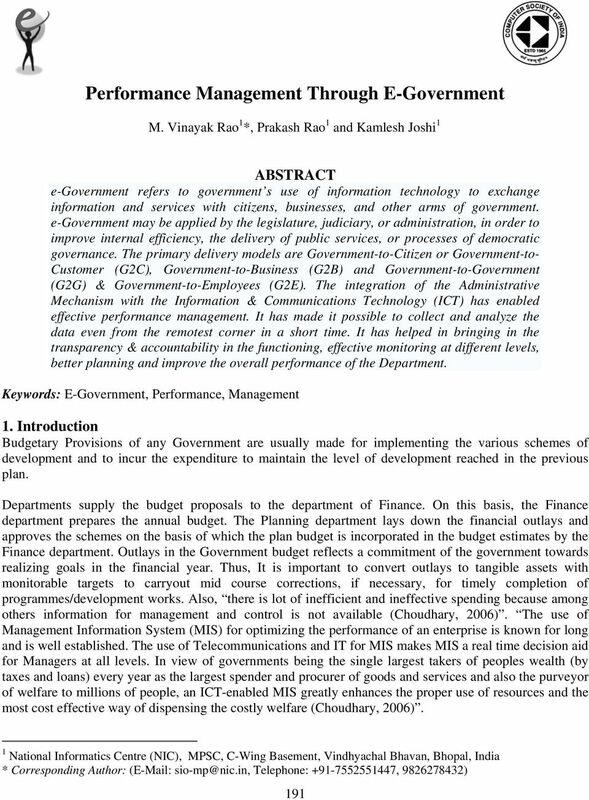 Download "Performance Management Through E-Government"
MAHAGOV CLOUD. Maharashtra State Data Center. December 2013. 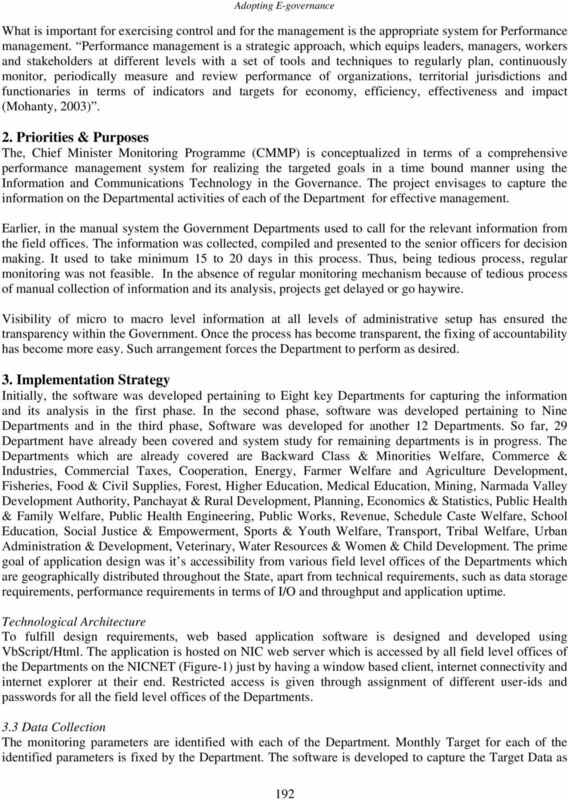 Directorate of Information Technology, Government of Maharashtra. ABSTRACT. School Education Right to Education Act (RTE), 2009 - Constitution of School Management Committee Orders Issued. COMPUTERISATION After the announcement of Information Technology Policy in December 1999, increased thrust has been given by the Government of Pondicherry to introduce e-governance solutions in the Administration. 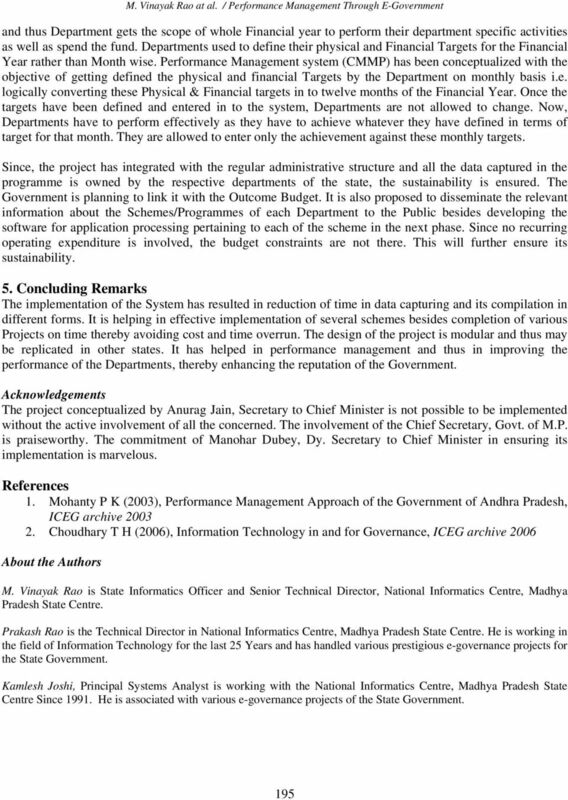 GOVERNMENT OF ANDHRA PRADESH ABSTRACT Municipal Administration and Urban Development Municipal Solid Waste Management -Constitution of Andhra Pradesh Integrated Solid Waste Management Board Orders-Issued. The institutional structure of Slum Level Federation will have two levels namely Cluster Level Forum (CLF) and Slum Level Federation (SLF). 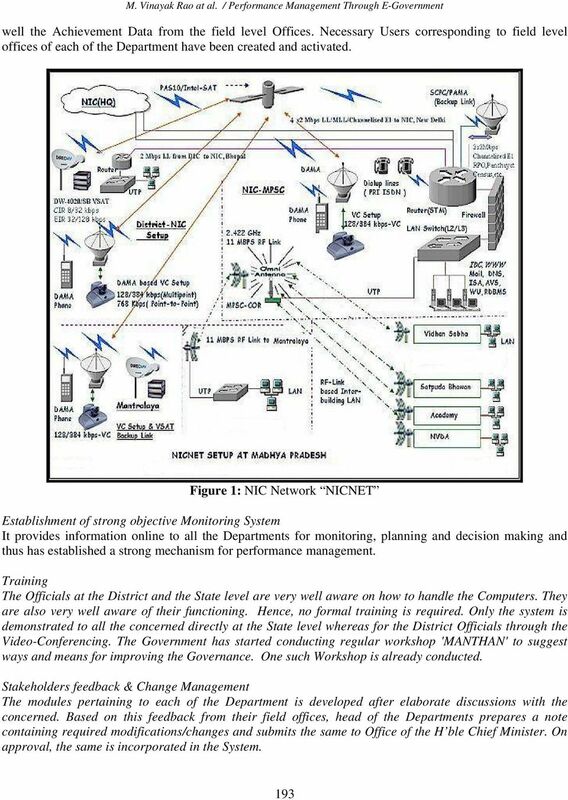 Question 1: What does NSAP stand for and when was it launched? PRO - ACTIVE DISCLOSURES OF UNDER SEC 4 (1) OF THE RIGHT TO INFORMATION ACT 2005 OFFICE OF THE DIRECTOR GENERAL OF POLICE, CHENNAI-4. 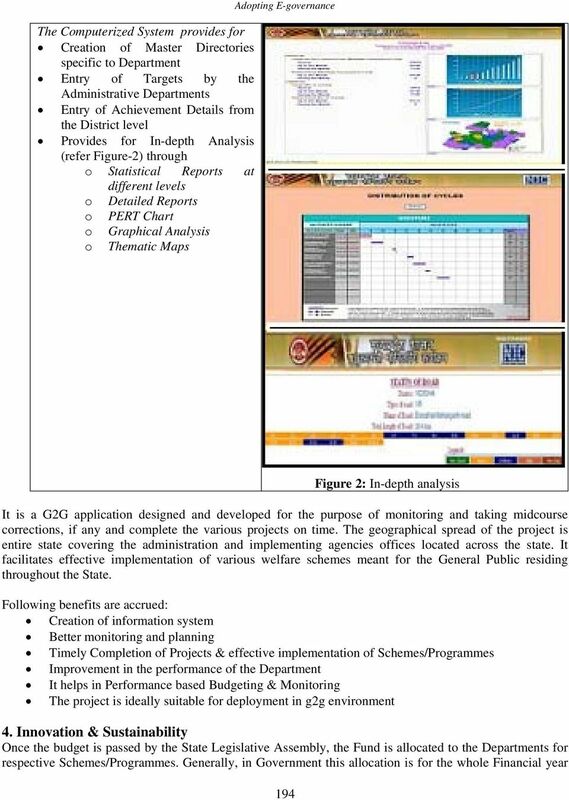 INDEX OF POLICY AREAS 959 Index of Policy Areas Policy Area Officer Head/ Programmes 1. Financial Services Secretary for Financial Services and the Treasury 2. Agriculture, Fisheries and Food Safety 3. DE 3450 DISTANCE EDUCATION B.A. (PA) DEGREE EXAMINATION, MAY 2012. BUSINESS COMMUNICATIONS. SECTION A (5 8 = 40 marks) Answer any FIVE questions.